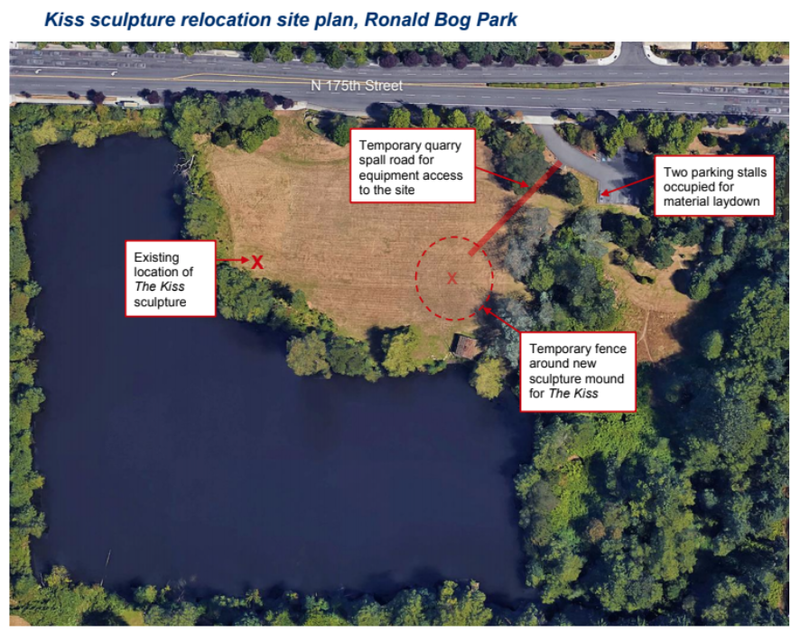 The first step in constructing the Ronald Bog Wetland Mitigation Site is to move Michael Sweeney’s The Kiss to a new location within the park. Starting today, Sound Transit will construct a new earthen mound approximately 200 feet east from the sculpture's current location and then carefully transfer the sculpture to the new mound (see map on back). A few parking stalls will be temporarily occupied for construction use. A temporary road access will be installed for equipment access to work site. The work area will be marked and fenced off from public access. Work will occur from 7am - 4pm, Monday – Friday and take approximately five weeks to complete.